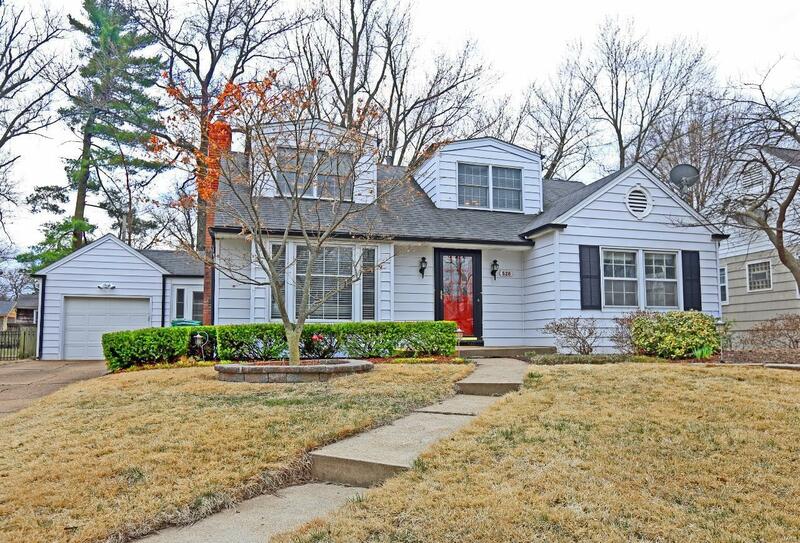 You won't want to miss this charming 1.5 story home situated on a quiet street in a fantastic Webster Groves neighborhood! Great curb appeal and professional landscaping are just the beginning to this 4 bedroom, 2 full bath home. The main and upper levels have beautiful hardwood floors and tons of natural light. The spacious living room features a front bay window, built-in bookshelves, and a slate surround, woodburning fireplace. The kitchen has granite countertops, glass tile backsplash, ceramic tile floors, and stainless appliances. The newly enclosed 4 season room walks out to a large, aggregate concrete patio and a level, fenced backyard. 1 car garage and a new utility shed in rear. Webster Groves school district and a great street that holds an annual block party!